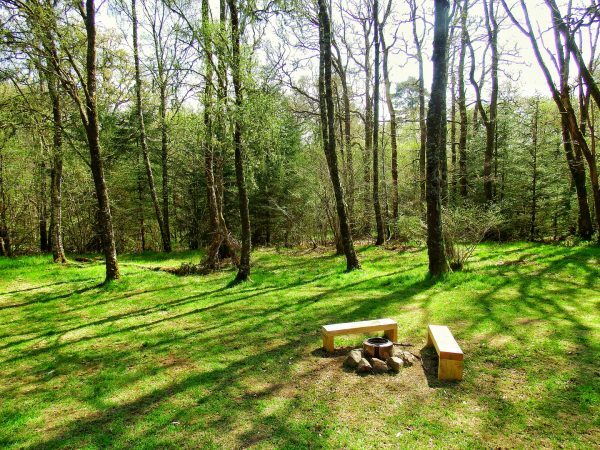 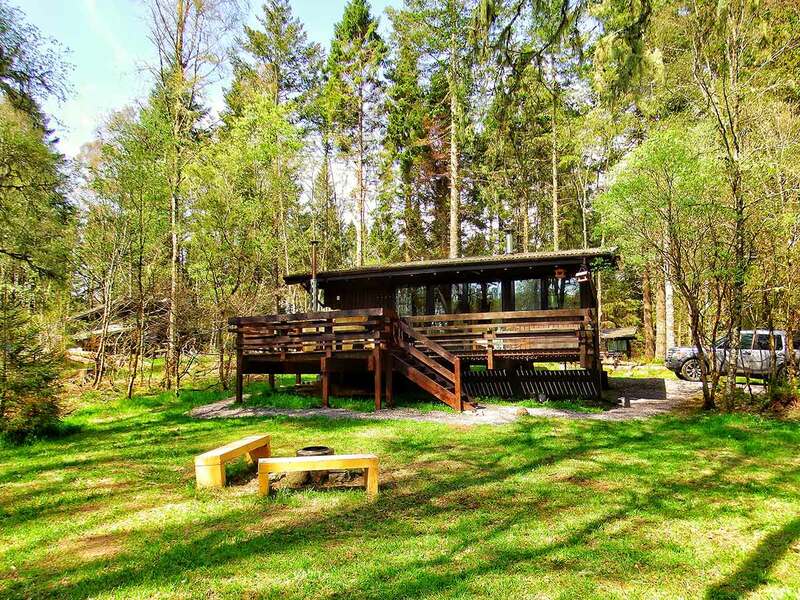 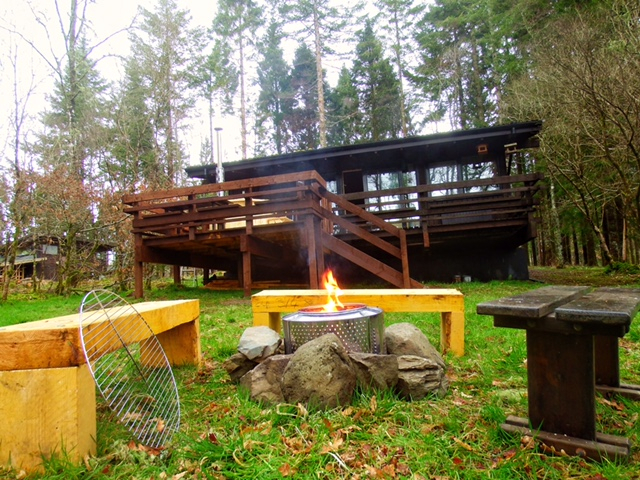 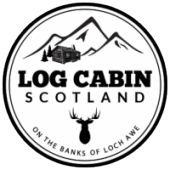 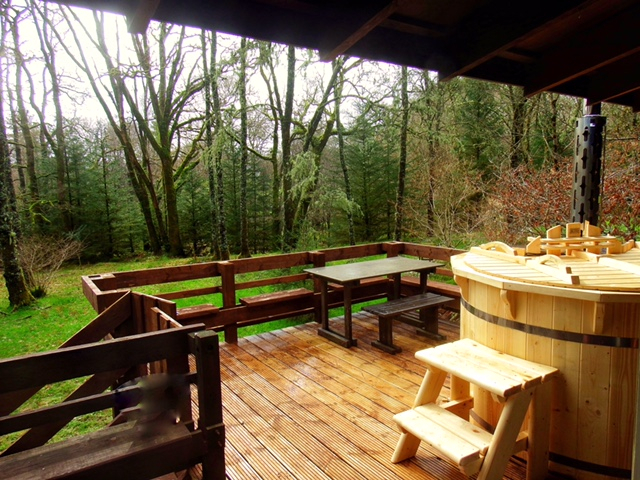 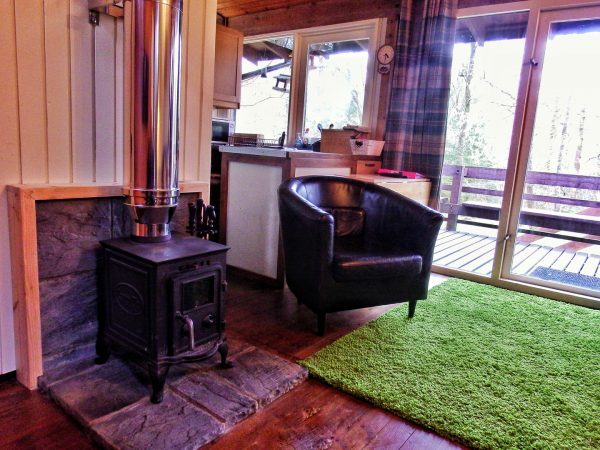 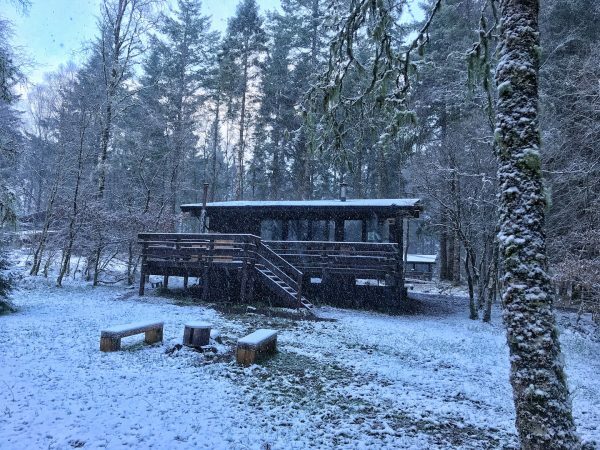 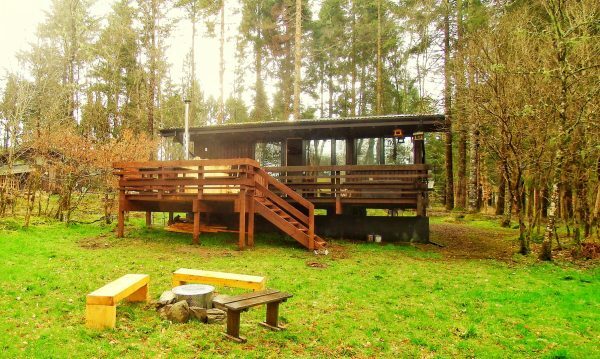 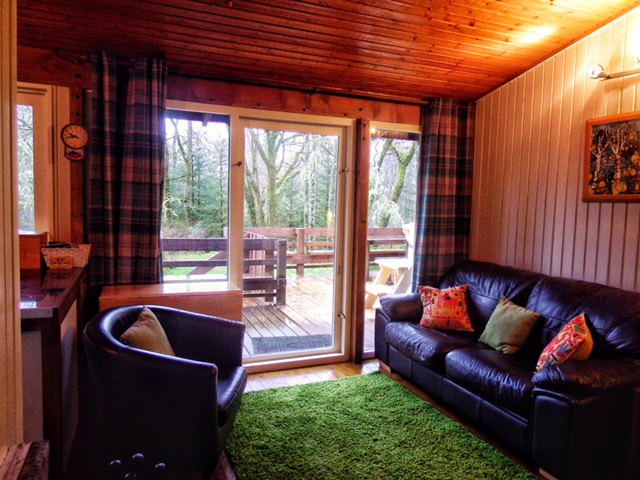 Orchy Lodge is a lovely traditional log cabin nestled in woodland just 250m from the lochshore. 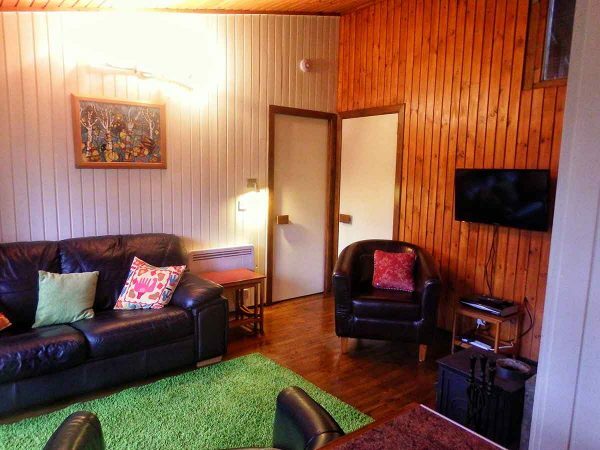 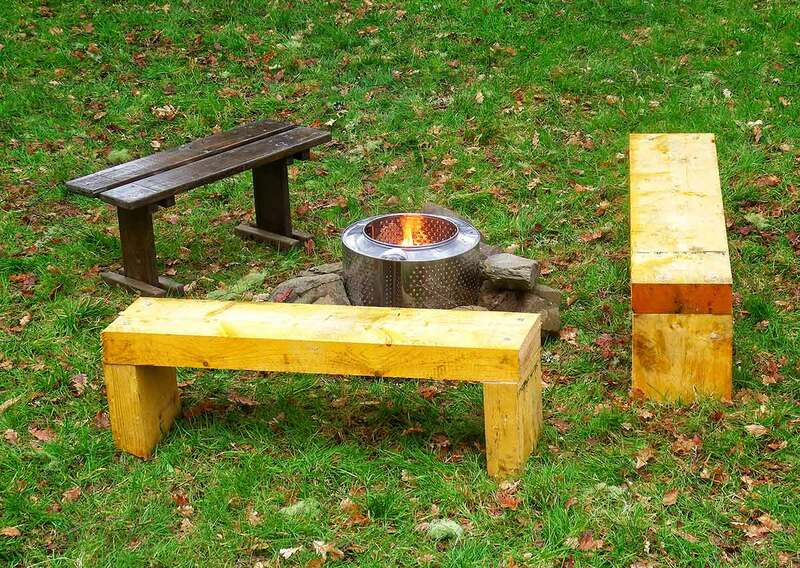 There is SKY TV, DVD player, sofa, easy chairs, dining table and full Wi-Fi. 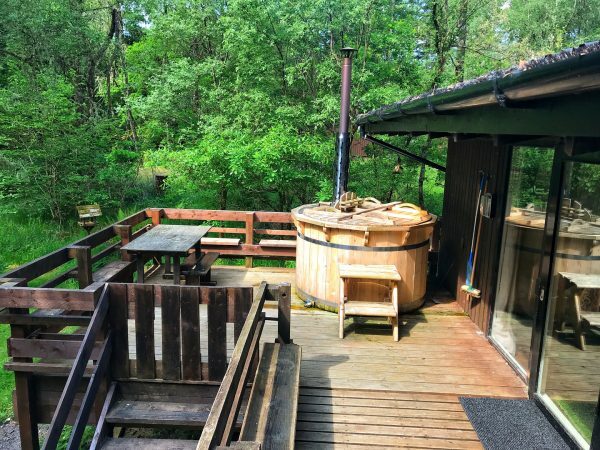 The patio doors opening onto a raised veranda with a hot tub and seating area looking out onto a large grassed area and private woodland giving this lovely log cabin with hot tub a real log cabin in the woods experience. 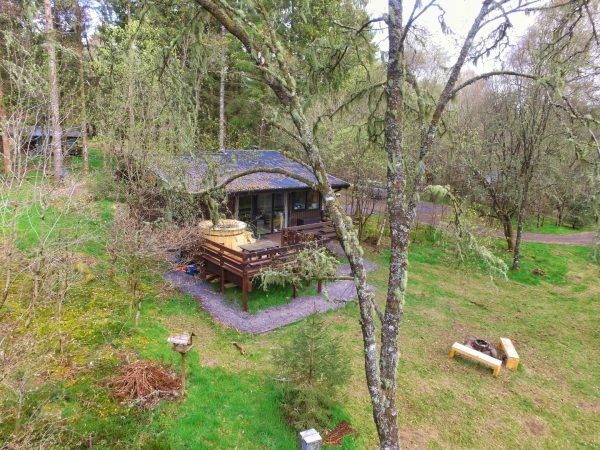 The private and secluded nature of this log cabin with the large grassed area and the large gated balcony makes this a perfect log cabin for dog owners or families with younger children. 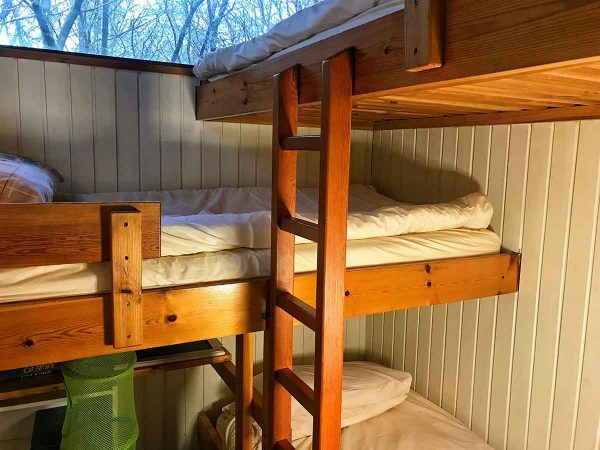 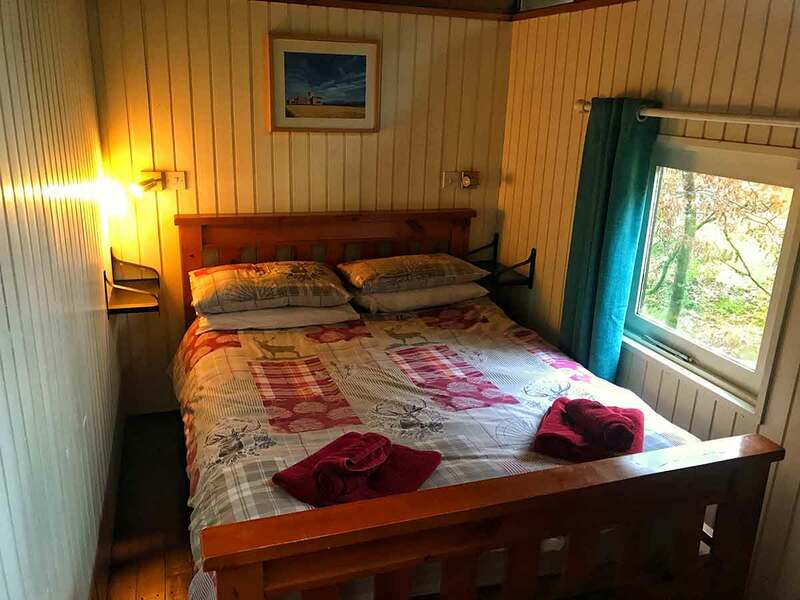 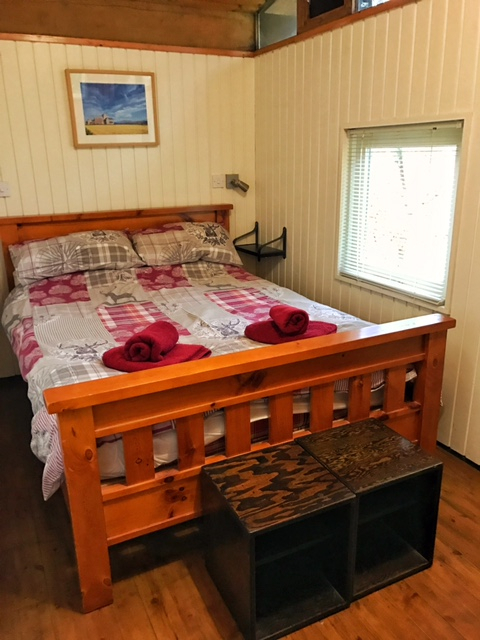 The double bedroom is lovely and cosy and the bunk room with its triple bunk bed makes this a perfect log cabin for romantic getaways or family holidays. For added flexibility we have added a double sofa bed to the living area. 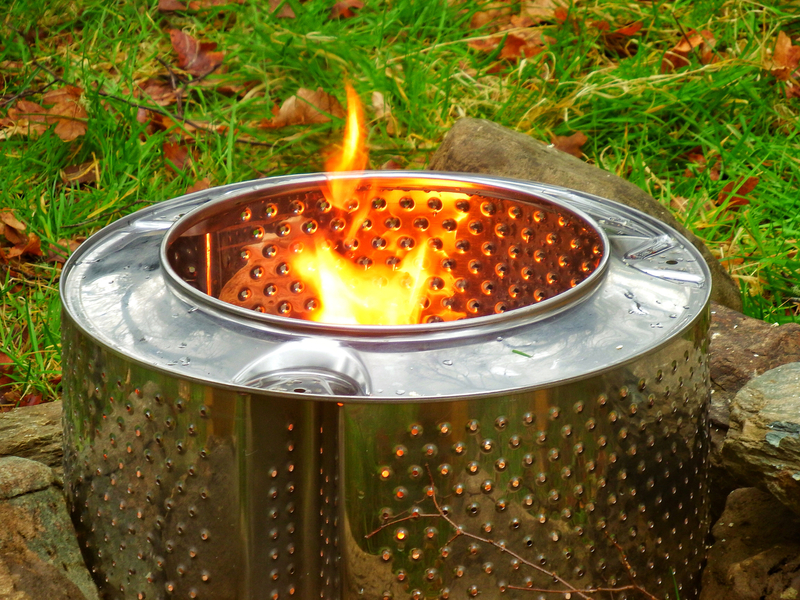 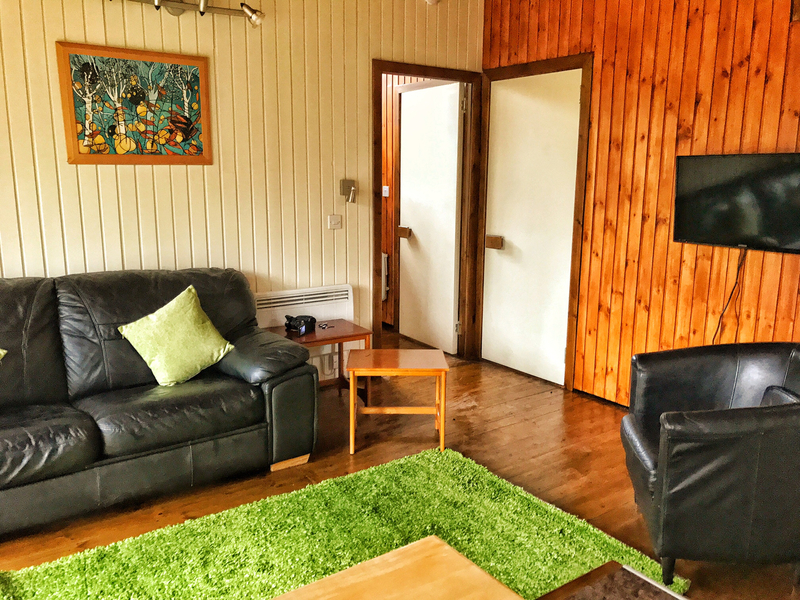 The kitchen area is well equipped, with cooker, fridge , microwave, toaster, kettle and all necessary utensils, crockery & cutlery . 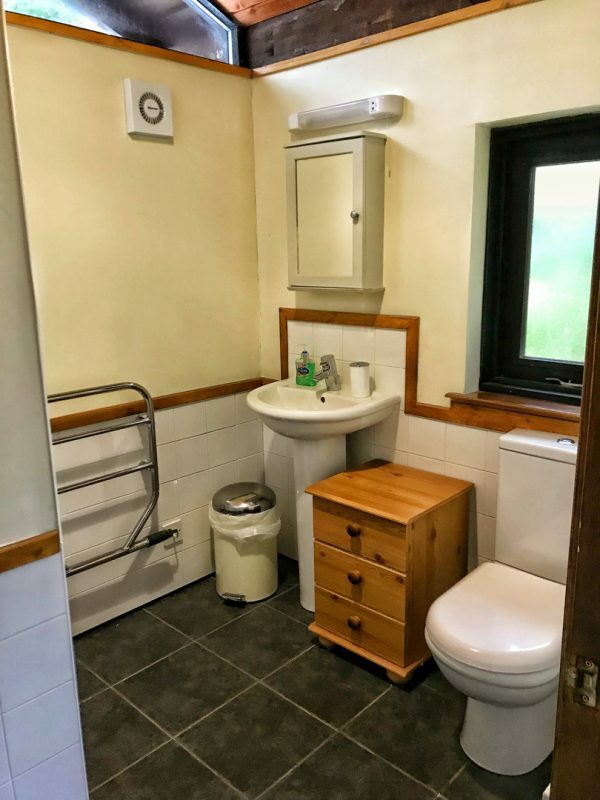 The well appointed bathroom is tastefully finished and has electric shower, wash basin, toilet and shaver point. 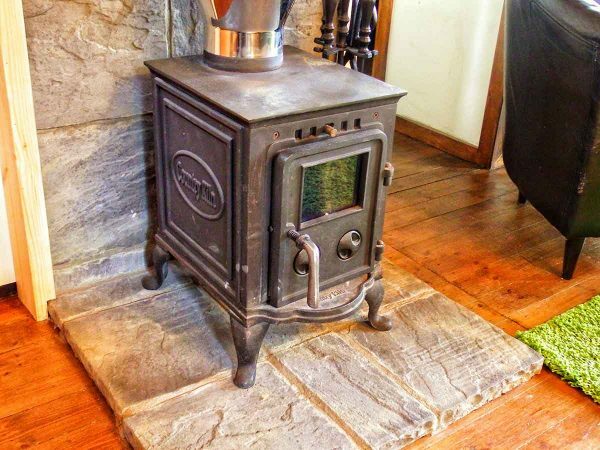 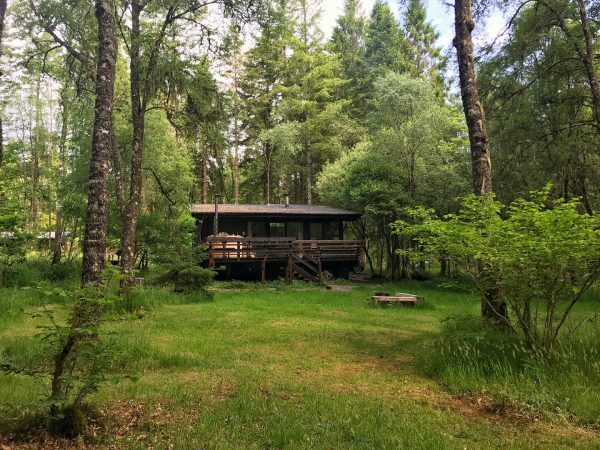 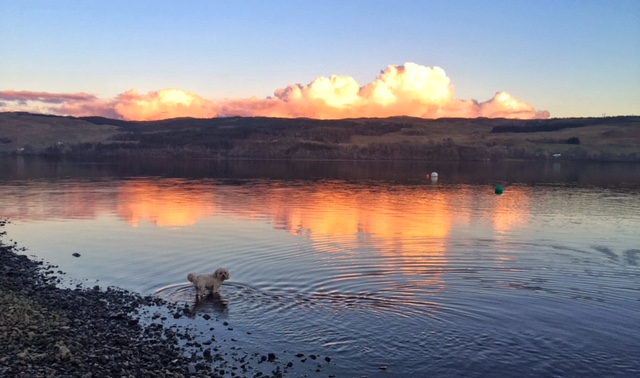 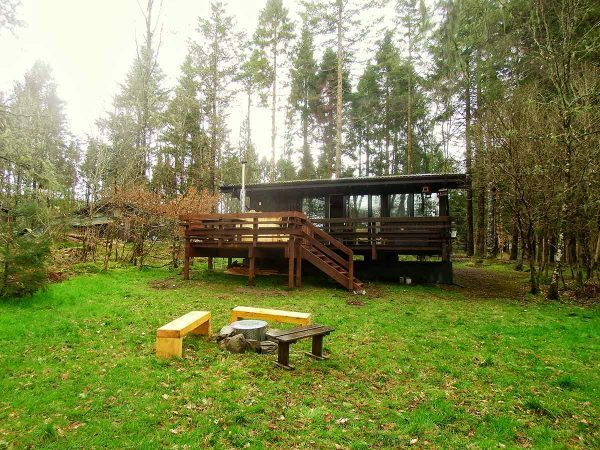 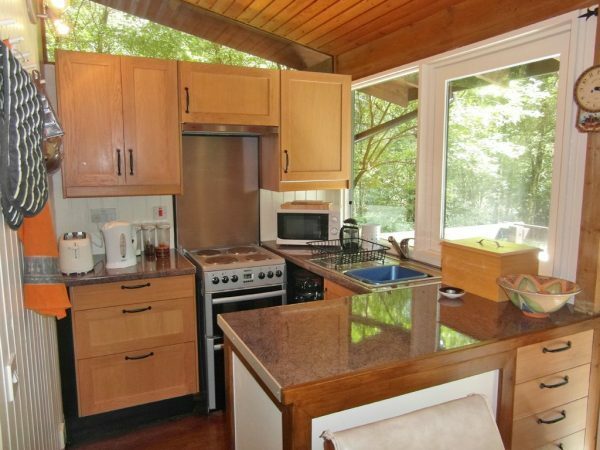 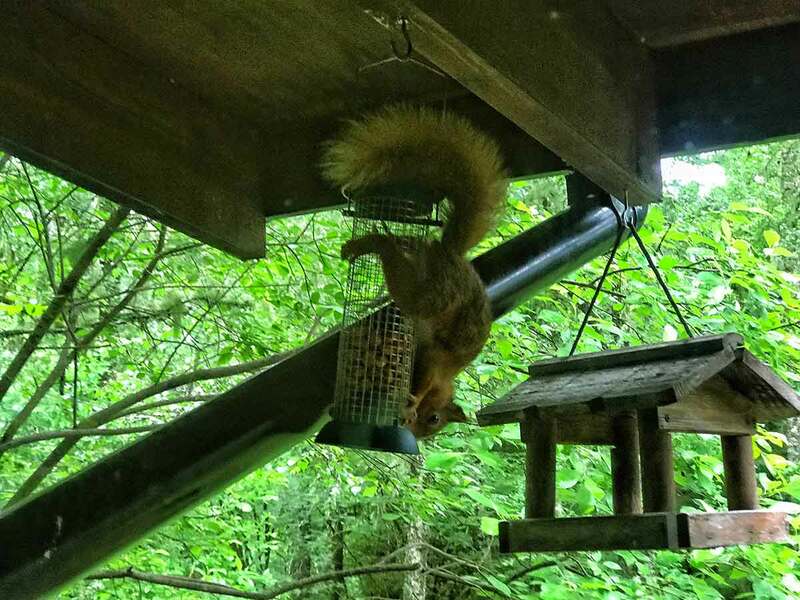 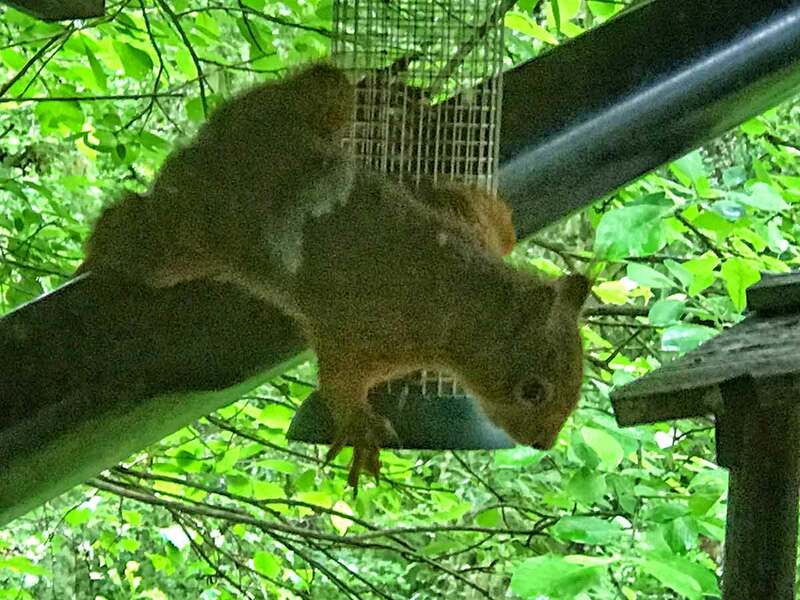 The Log cabin is very private sitting in nearly a acre of private woodland and comes with fishing rights and easy access to boat launch area being only 150 yards from the Loch shore.